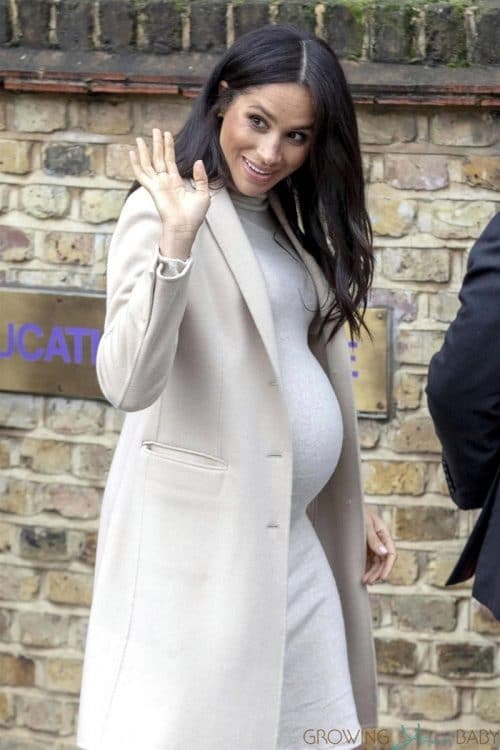 Meghan Markle the Duchess of Sussex was photographed visiting “Mayhew” animal welfare charity in London on Wednesday, January 16, 2019. 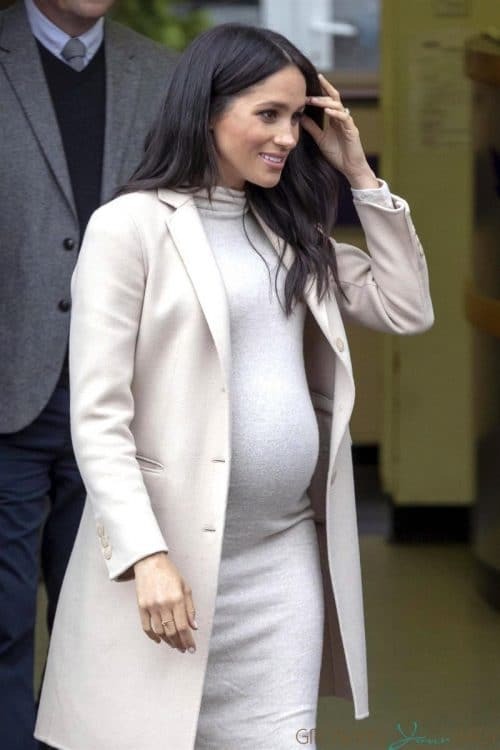 Meghan paired a bump hugging $35 white H&M dress with an ivory Armani coat for the appearance. It has been a busy week for the former actress who also visited Birkenhead on Monday with husband Prince Harry. Later the couple stepped out to see Cirque du Soleil’s Totem show at the Royal Albert Hall. 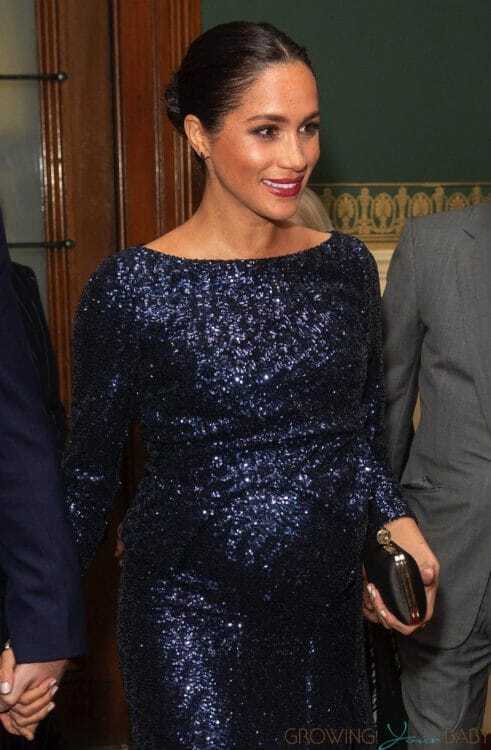 For the event, Meghan wore a sequin dress with a three-quarter length sleeves and a leg slit by Roland Mouret. She paired it a clutch by Givenchy and a gold bracelet that once belonged to Princess Diana. The performance raised awareness and funds for Sentebale, a charity founded in 2006 by The Duke with Prince Seeiso of Lesotho. The foundation works to support vulnerable children and young people affected by HIV in southern Africa.